Very Good. 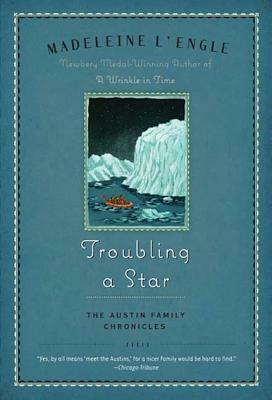 Troubling a Star: The Austin Family Chronicles, Book 5 by L'Engle, Madeleine, 2008-09-02. Trade paperback (US). Glued binding. Contains: Illustrations. Austin Family, 5. Intended for a juvenile audience. Fair. 0374377839 Ships from Tennessee, usually the same or next day. New. 0374377839 Ships promptly from Texas. Very Good. 0374377839 Ships promptly from Texas.